After the tremendous success of the 4th national conference on Functional Management of Developmental Disabilities, there were several requests from delegates who attended the conference and from those who missed the conference due to various reasons for further training and practical tips in management of developmental disorders and disabilities. All practitioners realize that they are encountering more and more children in their practice with developmental disorders which they are not equipped to deal with. 15-18% of all children have varying degrees of developmental and behavioral problems. With increased survival of extreme premature and low birth babies, there is also an increase in the number of children with developmental disorders. Early diagnosis and early intervention is the key to best outcome in these children because the critical period of development is usually within the first 5 years of life for most streams of development. In many places, trained therapists may not be available to help the practitioners in early intervention. In such scenarios the practicing pediatrician should be able to guide the family with a home program for developmental therapy and other simple behavioral modifications. 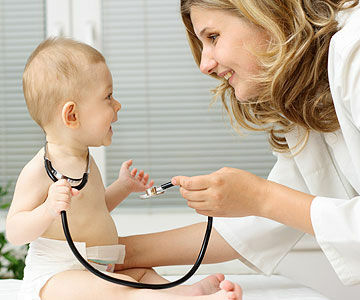 To be able to recognize developmental disorders early, various ways of presentation, developmental screening, carry out a developmental assessment, medical evaluations, make a diagnosis and formulate and carry out a developmental intervention plan and follow up after diagnosis. Especially suitable for Primary care Practitioners who work in the absence of therapists and other support services. The course includes practical tips for office practice.